A startup called Wim is making a countertop frozen yogurt machine that swirls up the dessert in minutes -just add milk! If you have a craving for FroYo, you might not have to look much further than your kitchen. A startup called Wim has created what is like a Keurig but for frozen yogurt. All you have to do is add some milk – regular, coconut, almond or soy – to a special pod. Then just pop it in the machine and let it swirl! Ice cream may have peaked in the U.S. While growing its global consumer base, the category is struggling in developed markets, with domestic product innovation coming to an abrupt halt in 2014. The category saw 3 percent global market increase last year, with volume sales up 4 percent, according to new Mintel research, indicating an increase in emerging markets. In the U.S., market growth was flat between 2013 and 2014, across all segments, compared with a 7 percent and 8 percent increase in Russia and China, respectively. 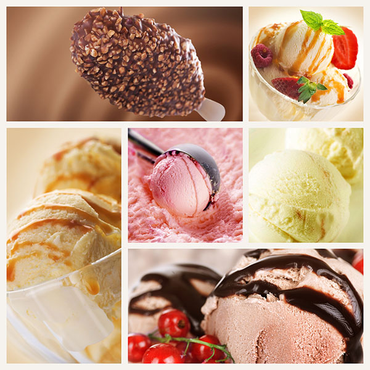 Three emerging trends are poised to influence the ice cream market, according to Mintel. An increasingly fragmented market will lead to more niche companies and products with special qualities like a handcrafted approach. Health concerns will spill into this indulgent category, with an increase in such free-from claims, including GMOs, hormones, and artificial ingredients. And flavor innovation will remain top of mind for manufactures, incorporating new and inventive ingredients and pairings, such as sweet and salty, bitter, and even cheese and alcohol. Thai ice cream rolls: Summer’s latest ice cream trend Forget the double-scoop the next time you’re craving a cone, and try these carefully crafted rolls instead. There are just some things we can’t get enough of in the summer, and ice cream is at the top of the list. And the latest fad? It’s not about funky new flavours or healthy ingredient substitutions, but rather a unique method of creation and presentation: rosette-like rolls. A staple of Bangkok street stalls, Thai ice cream rolls first popped up in NYC last summer; now, the gorgeous treat is inspiring lineups at select parlours across the USA and Canada. They’re made by blending cream and fancy mix-ins, from cookie dough to taro, on an anti-griddle (think super-chilled metal plate). The mixture is then flattened into sheets, scraped up into rolls, and tucked into a dish to create mouthwatering, Instagram-worthy delights. Canadians still scream for ice cream, so London’s iconic ice cream factory is gearing up. The Nestle Canada ice cream plant on Wilton Grove Road, which supplies all of Canada, installed two new production lines this year at a cost of $20 million to step up the output of that perennial favourite the Drumstick cone and Haagen-Dasz, the aristocrat of the ice cream world. But it still isn’t enough. The plant is running out of room, despite numerous expansions in its 50-year history, and the company is now considering a major physical expansion, said Jayne Payette, president of Nestle’s ice cream division. “This year we have made significant investments to increase capacity of the plant and there are plans for the future . . . there isn’t a lot of empty space,” she said Thursday. The plant is also opening its doors to visitors on a limited basis for the first time. “It’s an opportunity to get people inside and not to have any secrets. It’s a product that’s produced in a very professional way,” said Arthur Van Raalte, who’s been director of the plant since 2014. Nestle held a contest asking consumers why they wanted to tour the factory and the winners are now getting guided tours. That’s not easy in an era when food-processing plants must follow stringent security and safety protocols. Visitors must sign in electronically, watch a safety video, don coats, boots and hair nets, wash their hands and go through a blow dry chamber to remove any loose hair or dust. But once inside, they’ll be hit with a deliciously sweet smell and an amazing maze of stainless steel tubes and gleaming belts, tracks and pulleys. Guided by the workers, the machinery squeezes out soft ice cream, mixes it with chocolate and nuts before it is flash-frozen and packaged. Haagen-Dasz ice cream is produced on licence from General Mills. The premium product is creamier and denser than normal ice cream, and has its own production area in the plant. Haagen-Dasz recently released a new Spirits line with wicked new flavours including Vodka Key Lime and Irish Cream & Biscotti. Nestle is one of the leading employers in London’s agri-food sector, with about 750 workers in the peak spring and summer seasons. About three years ago Nestle boosted its environmental commitment by making the London ice cream plant a zero landfill facility. The paper and plastic waste is recycled and the food waste is fed to some lucky pigs in a deal with area pork producers. The small amount left over is incinerated, but nothing is sent to landfill. Nestle’s suppliers are also asked to make the same commitment. Founded in 1966 as a Silverwood Dairies plant, later sold to Ault Foods, acquired by Nestle in 1997. Ice cream brands and products include Haagen-Dasz, Parlour and Real Dairy, fruit popsicles. various sundae and bar products based on candy bars and cookies such as Kit Kat and Coffee Crisp and Oreos. Plant employs about 750 people in peak season from March to September, and about 500 during the rest of the year. Nestle is the leading seller of ice cream in Canada, with a 29-per-cent share of the market. 11 production lines turn out about 60 million litres of ice cream a year.